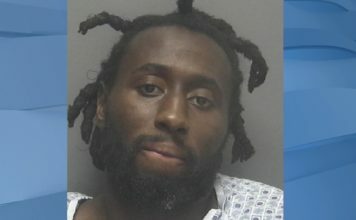 Police say a man suspected of battering his girlfriend wounded a police officer and barricaded himself inside an apartment with four young children. Orlando Police Chief John Mina says the woman left the apartment late Sunday and alerted officers to the assault. They swarmed the apartment, near the Universal Orlando theme park. Gunfire was exchanged. Mina said they don’t know if the man was shot. The officer was taken to Orlando Regional Medical Center where he underwent emergency surgery. Mina said the officer has a “very serious” wound, but is expected to survive. 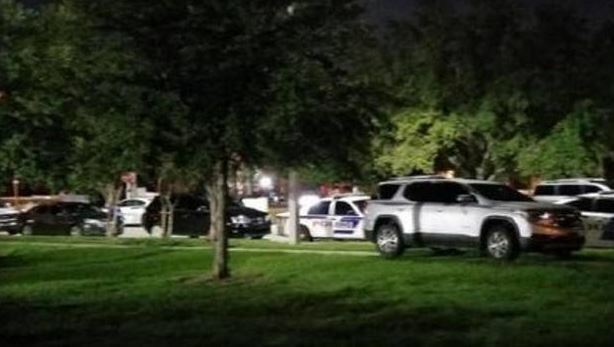 Officers evacuated other residents of the complex in the middle of the night. Some of them stood waiting in nearby restaurant parking lots, still wearing pajamas. 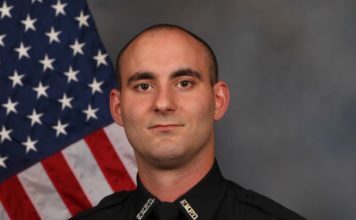 The officer has been with the department less than two years, reports CBS Orlando affiliate WKMG-TV. He added that officers are working to negotiate a peaceful resolution. “We have spoken with him a couple of times, and he’s hung up the phone a couple of times,” said Mina, who stressed the safety of the children is top priority. The suspect, who officials say has a criminal history, is the father of some of the children, according to Mina.